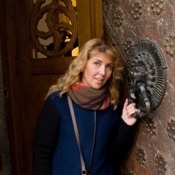 Traveler Ratings for Private Tour in Saint Petersburg, Sankt-Peterburg, Russia by Tour Guide Leena S.
Tour: 3-day tour "The Best of St.Petersburg"
She was incredible! Very passionate and knowledgeable about her city, country, history and art. knew the best places for lunch. Had great time with her and would HIGHLY recommend her. Elena was excellent. We have 2 children (8 & 5 yearsold) and she was very patient and sweet with them. She tried to make it fun for them too. She was flexible with the itinerary. She was extremely knowledgeable and mixed history and culture in her tour. Highly recommend! TOUR GUIDE RESPONSE: Thank you Lisa for your review. And thank you for coming to me. I was great and fun to spend three days with your family! Elena combines impressive domain expertise with authentic care and attention to her guests satisfaction. Her three day St P tour provides an extraordinary opportunity to learn about the history and people of St Petersburg. It was thorough, deeply engaging, and an exceptional experience for our family! TOUR GUIDE RESPONSE: Dear Jeffrey! Thank you for coming to St. Petersburg and booking my tour! I am happy you enjoyed it! Hope one day you will come back to Russia and we meet again!